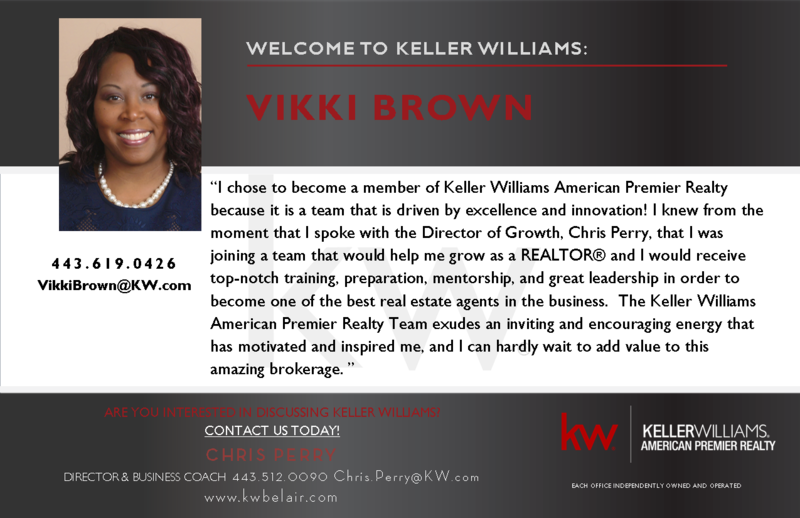 We at Keller Williams American Premier Realty are happy to announce Vikki Brown has joined us! Vikki, We look forward to being mutual partners in growth! Plugging into KW models, systems and tools will propel you further faster. Cheers to the journey and we are glad you made us part of it!